A place for our amateur scientists to experiment with near impunity. Common sense applies here. Be safe. A place to learn, share and ask questions about the healing abilities of microdosing! Dry Bubble / Veticillium contamination? First grow, first mushroom -- should I pick it? Grain jar sterilization - close the jar lid during PC? 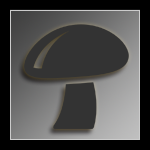 ALL COMMUNITY OUTDOOR MUSHROOMS GROWERS THREAD JOIN IN ! Tamps first time against the odds. Chronic tek gone wrong? Does anyone know why this is happening? Multi species semi neglected greenhouse, all fruiting at the same time.